Who is Lt. Gen. Michael Flynn? 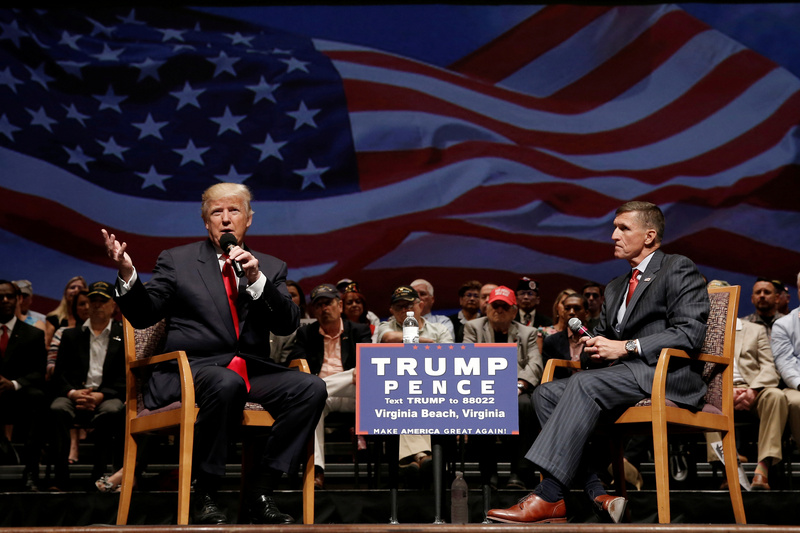 President-elect Donald Trump named retired Lt. Gen. Michael Flynn as his national security adviser on Friday, adding a loyal supporter with hard-right views on Muslims and Islam to his emerging intelligence and foreign policy team. The position, which does not require senate confirmation, is tasked with providing the president daily national security briefings and coordinating foreign policy and military efforts. Trump on Friday also named Republican Senator Jeff Sessions of Alabama as attorney general, and Republican Rep. Mike Pompeo of Kansas as director of the CIA. Both positions require senate confirmation. Flynn, who has spent more than 30 years in the military, was a steadfast supporter of Trump throughout the campaign. He had long been considered a favorite for a top position in the Trump administration. “I am pleased that Lt. Gen. Michael Flynn will be by my side as we work to defeat radical Islamic terrorism, navigate geopolitical challenges and keep Americans safe at home and abroad,” Trump said in a statement announcing the appointment. Flynn, 57, entered the Army in the early 1980s. In 2012, he was tapped by President Obama to serve as director of the Defense Intelligence Agency. Flynn was fired from that position in 2014, amid reports that his views and management style were disruptive and chaotic. Flynn said he favored a more aggressive approach to defeating ISIS than that of the Obama administration. He repeated his hard-line approach at the Republican National Convention in July. He went on to criticize the Obama administration for reducing the United States’ influence in the world, worrying about being politically correct and acting too hesitantly when it came to using military force. But that criticism has been mixed with controversial statements on Muslims and Islam that critics say are offensive and show a narrow world view. Earlier this year, Flynn said on Twitter that “fear of Muslims is RATIONAL”, one of several comments that drew criticism during the campaign. He also spoke recently at a conference hosted by anti-Muslim groups. Aside from his views on national security, Flynn has come under criticism in recent months for his ties to foreign governments, including Russia. 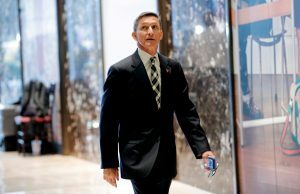 Flynn has reportedly lobbied for the Turkish government, and has been paid to appear at an event for RT, the English-language television network funded by the Russian government. Flynn also sat two seats away from Russian President Vladimir Putin at RT’s tenth anniversary dinner last December. In an interview with The Washington Post earlier this year, Flynn dismissed any concerns over conflicts of interest. He compared RT to CNN and MSNBC, saying he regularly appeared on a number of television programs and was not paid for doing so. When it came to his proximity to Putin, Flynn said he was not concerned about the optics.